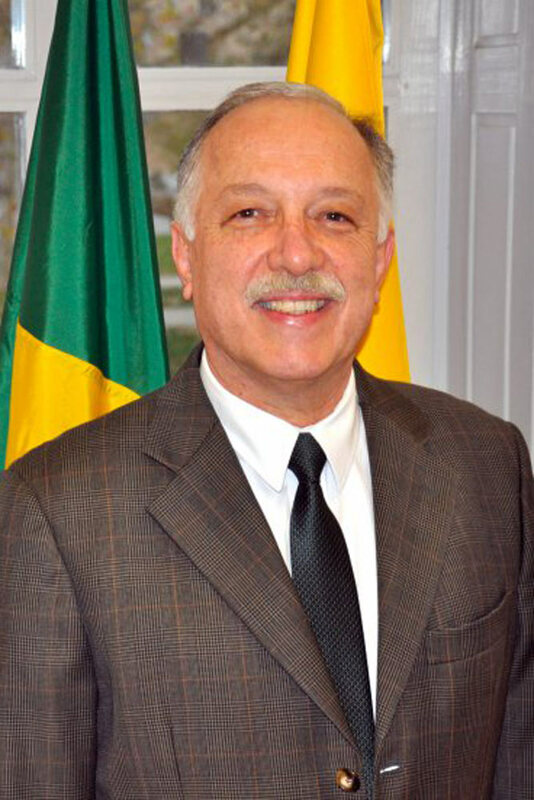 Ambassador Gilberto Moura was the representative of Brazil to Thailand, Cambodia and Laos from 2014 until 2017, and the country’s Permanent Observer to the United Nations Economic and Social Commission for Asia and the Pacific (UN-ESCAP). Prior to his assignment to Southeast Asia, he was Ambassador to Slovenia since 2012. In Brasilia, he was Director-General of the Department of Inter-regional Mechanisms and DG for Asia and Oceania. A career diplomat, Ambassador Moura held positions at the Brazilian Embassies in Berlin, Ottawa, La Paz, Paris, Warsaw and Singapore and as Brazil’s Deputy Permanent Representative to UNESCO. He has graduated in Law (PUC-Rio) and History (UniCEUB). He was awarded the Brazilian Air Force Merit Medal (Santos Dumont and Grand Official), the Grand Order of Rio Branco and the Pro Eclesia et Pontificia Cross of the Holy See.